Open House: 27-1990 Pacific Way, Aberdeen, Sunday, March 8, 2015, 1:30-3:00pm. 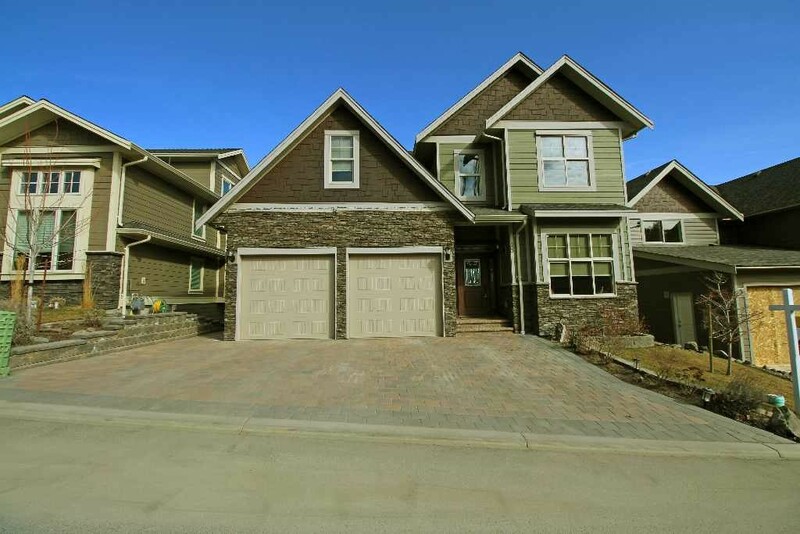 Just like new, immaculate Aberdeen 3 bedroom, 3 bathroom end unit townhouse with a view and surrounded by greenspace. This home features a nice foyer with closet, separate laundry and 2 piece bathroom on the ground level. There is access to the oversized single car garage with storage from the foyer. The main level features a beautiful great room open floor plan with a large kitchen featuring maple cabinets with tons of storage and counter space. There is a nice dining room overlooking the greenspace and the living room is oversized with a gas fireplace and extra space for a work station. There is a small patio off the front of the home and a concrete slab patio off of the dining room nestled among the greenbelt. There are windows on three sides of the home making it bright and inviting. The second level has three bedrooms, the master suite has a four piece ensuite and walk in closet. The master bedroom has ample windows and a gorgeous city view. There is a 3 piece guest bathroom as well. Once you are in this home, you feel like you are in a tree house. since the views from two sides of the home are of trees. This makes it very peaceful and private. There are 2 assigned parking stalls and 1 extra guest stall plus the garage parking making this ideal for those with parking needs. Rentals and pets with restrictions. This home will not disappoint. Open House: 15-460 Azure Place, Sahali, Sunday, March 8, 2015, 1:00-3:00pm. This home features a nice foyer with travertine tile, there is a bedroom/office off the main entry way. The great room is an open floor plan with 10 foot ceilings, built in entertainment cabinets with gas fireplace, custom kitchen with granite counters, shaker style cabinets with stainless steel appliances and large windows overlooking the (39×12) deck. The main floor also has a 2 piece powder room and mud room off of the oversized garage (21×21 plus 9×4 bonus). The second level features the master suite with 5 piece ensuite, two additional guest bedrooms, 5 piece guest bathroom, laundry room with built ins and bonus play room over the garage. There is a storage area on 3rd level accessed through front bedroom. Basement level features large rec room with access to back bottom level patio, theatre room, 5th bedroom and 2 piece powder room. There is a separate one bedroom self contained inlaw suite with its own laundry. Other features include: built in sound, granite in all bathrooms, two stage high efficiency furnace, hot water on demand plus 2nd hot water tank, heat pump, roughed in central vac, fully landscaped and very little carpet in the home! 24 hours notice for showings. 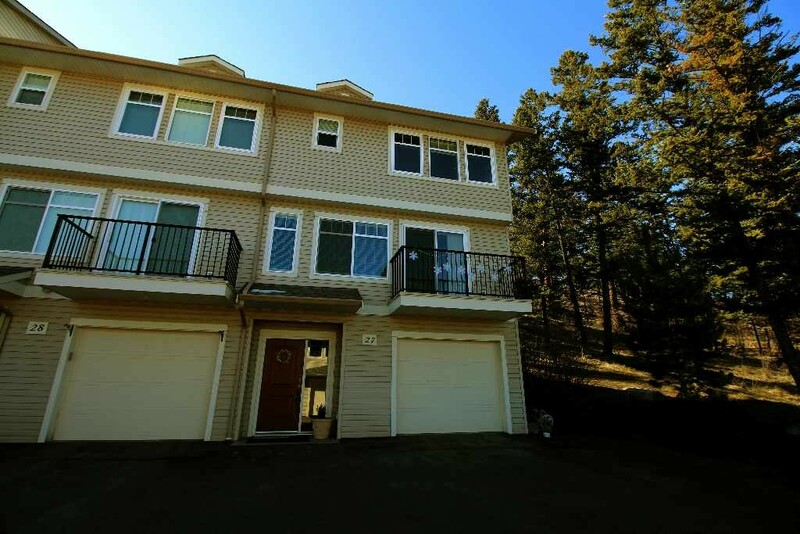 Open House: 1-423 1st Avenue, South Kamloops, Sunday, March 8, 2015, 12:00-1:30. ELM TREE PLACE … warm and cozy best describes this townhome situated in quaint 12-unit complex in walking distance to hospital, Riverside Park, Library and many other downtown amenities and TRU. This Two Storey front unit has a stand-alone feeling and features a spacious kitchen, powder room, dining room and family room with a northern view off sundeck. The ‘curl-up and read a book’ livingroom is bright and has gas fireplace for those cooler nights. Top level has open landing, 2 roomy bedrooms and walk- through 4-piece ensuite. Basement has large family room or additional bedroom with patio doors to small grassed and fenced yard, laundry and plenty of storage. Updates include new windows and a/c unit (2011), roof (2012), hardwood flooring (2012), bathrooms … to name a few.All appliances included. 1 parking spot. 1 dog or 1 cat allowed with Strata permission. Day before notice for showings please – shiftworker. Open House: 30-5005 Valley Drive, Sun Peaks, Saturday, March 7, 2:00-4:00pm. 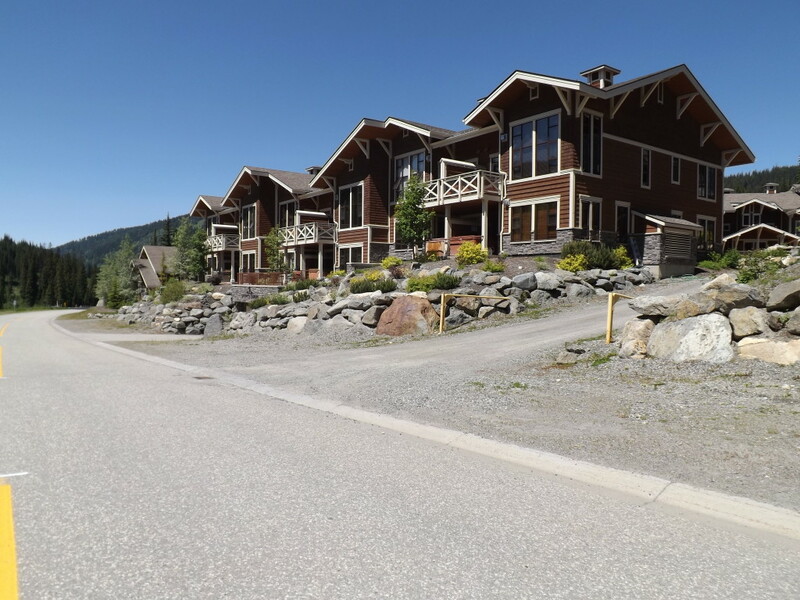 Beautifully appointed 2 bedroom, 2 bath, 2 level ski-in/ski-out Condo style townhouse located in the Stone’s Throw Development, offers year round recreation at your doorstep in the World Class Resort of Sun Peaks, BC. 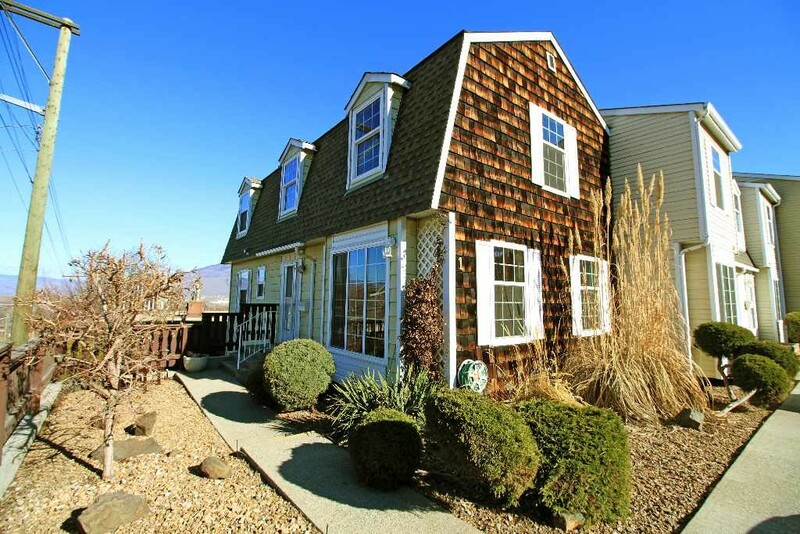 This fully furnished mountain home is ready for your enjoyment & is the perfect environment to relax & spend quality time with family and friends. The home features an open floor plan with wrap around kitchen, eating bar, heated tile floors, in suite laundry and ample storage space. The south facing end unit provides soaring windows & vaulted ceilings that allow for an abundance of natural daylight. Take in the majestic views of Mt. Morrisey while you unwind around the cozy gas F/P or from your private hot tub. Just steps away to the ultimate in Alpine & Nordic skiing, 18 hole golf course, hiking, bike trails and so much more. Take advantage of the income opportunity with being able to rent your unit out nightly. Heated underground parking and GST is Applicable.